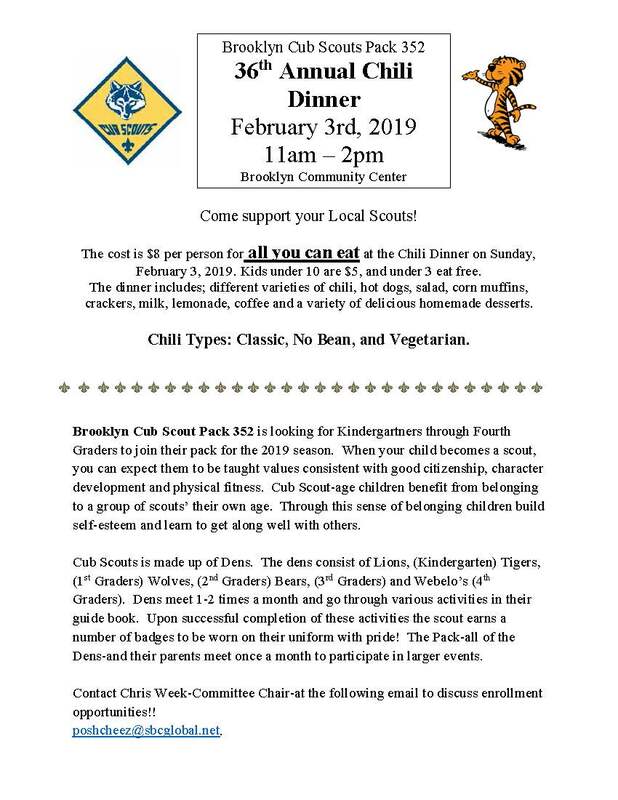 Come support your Local Scouts! February 3, 2019 from 11 am to 2 pm. Kids under 10 are $5, and under 3 eat free. The dinner includes; different varieties of chili, hot dogs, salad, corn muffins, crackers, milk, lemonade, coffee and a variety of delicious homemade desserts. Chili Types: Classic, No Bean, and Vegetarian.